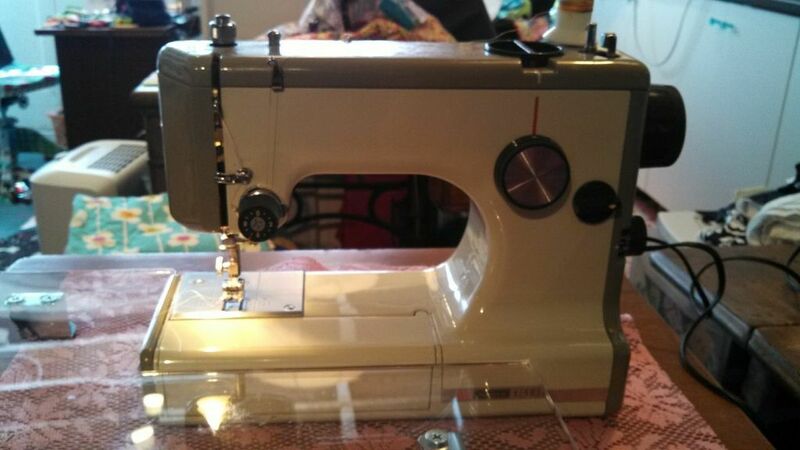 I’ve been sewing on all my zig zag machines, one after another, looking for the best satin stitch for applique. So far, this little Kenmore 1040 is the winner. I’m making chicken blocks! Love me some chicken blocks–that pink is adorable. I like my little bitty Singer too. It works well enough for now in this stage of life. How cute! And don’t you just love it that we can get tables to fit our vintage machines, too! Cute block. Have fun with your machines. Cute chickens! 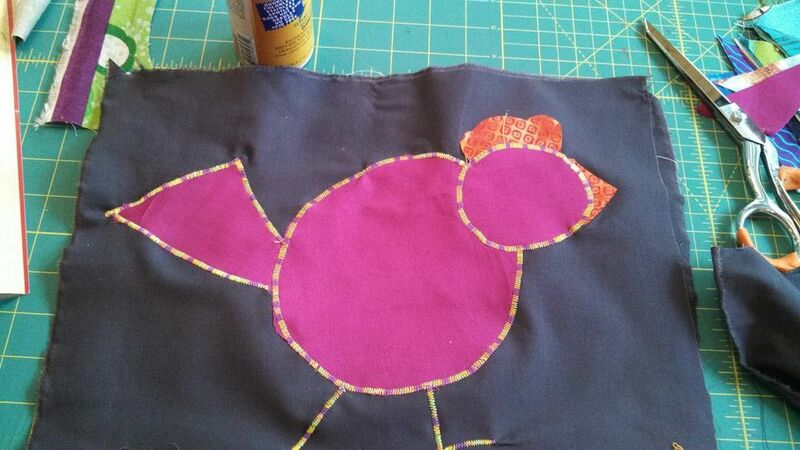 And a great idea about satin stitch testing–I may have to do that one of these days. I’ve got a 1040 but once I got it up and running I just put it aside as a cute novelty. I’ll be getting it back out, and thanks! OOOOOOOHHHHHH !!! Cute both the machine and the chicken.